FORT WORTH, TEXAS (October 25, 2018) – Goodwill Industries of Fort Worth, Inc. announced today the promotion of Cyndi Gomez to Director of Information Systems. 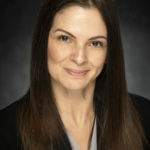 In her new position, Gomez will oversee Goodwill Fort Worth’s network and associated computer system and manage all department employees. Gomez has served Goodwill Fort Worth since October 2012, when she joined the nonprofit as Database and Applications Specialist. Gomez has more than 15 years of experience in information technology. Prior to joining Goodwill, Gomez served as a software developer for RadioShack Corporation, IT Manager for Gamma Engineering and as Specialist for Verizon. She received a Bachelor of Science in Business Information Systems from the University of Texas at Arlington in 2008.